You are here: Home / Blog / Tips / Granite Vs Quartz, Which Kitchen Countertop Should I Install? Keeping the significant quality, the granite and quartz countertops are making people confuse to choose any of these two. So, here are the tips that can help in making a good decision for choosing the right one. Granite has most notable aesthetic quality. It is kind of igneous rock which is mined in quarries. It is extracted from the earth and polished to be used as tiles and building material. On the other hand, the quartz is a mineral which is found in metamorphic and igneous rocks. The Quartz countertops are designed by combining the crushed quartz with the help of polymer resin and colored pigments. The mixture is then kept into the vacuum pressure to produce the dense and non-porous slabs. Later, these are polished before delivering. When you want to give your home a natural look then granite could be a good choice as it posses the natural swirls. While the quartz can easily be dyed with your choice color so that it can match your residential appearance. Granite can also be dyed, but quartz is easy to dye. Both granite and quartz can chip and scratch when something drops on it. But, it doesn’t make your counter top to damage earlier. Quartz is a waterproof as it is designed under more controlled conditions. Being a naturally porous, the granite is relatively hard. Most probably the contractor seals the granite with protective layer during the installation. Now, if you are thinking about the cost, the price never takes matter if you are getting quality material. 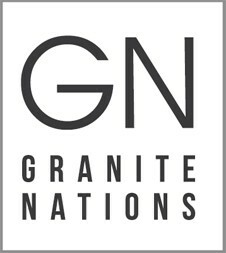 In order to buy your choice countertop, visit Granite Nations. Our insured and licensed technicians provide custom kitchen countertops installation in the GTA.